Whose idea was it to organise the World Sailing event? Malaysia came under scrutiny after it denied entry visas to two Israel athletes, which resulted in their withdrawal from competing in the ISAF Youth Sailing Championship being held in Langkawi from December 27 to January 3. Youth and Sports Minister Khairy Jamaluddin said that little could be done to help the Israelis as Putrajaya had to abide its diplomatic policy. Following the outrage, Perak DAP's Economic Development Bureau, Chong Zhemin, spoke out and accused Khairy of allowing politics and personal sentiments getting in the way of the international sports event. Chong also said that it was very unsporting to deny visas for any athletes based on their nationality, religion or personal belief. With DAP coming into the picture and Israel is involved, it has become a sensitive issue. Just like everything else in this country, it has turned political. Friends and foes criticised DAP. However, DAP has a point. Why did the Sports Ministry approved and agree to the event knowing Israel is not only a contender, but world champions? 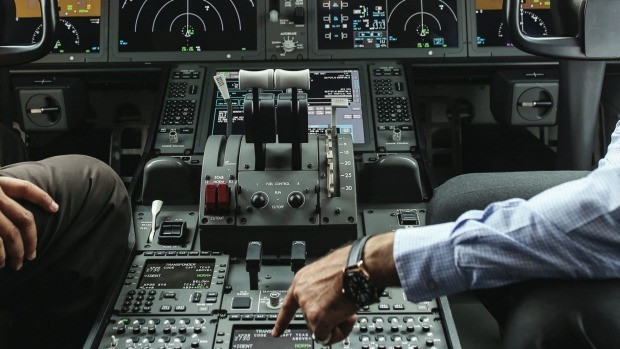 There was a Christmas Day mix-up in Auckland, when an Malaysia Airlines pilot queried the air traffic controller on a flight plan provided to return to Kuala Lumpur. The initial coverage of the incident by NZ Herald the next day got the attention of local and international media to report. One could only expect the dramatic and negative headlines given by the "orang putih" media. Pilot was headlined as spooked, surprised and baffled. Flight was flying or flied in the "wrong direction". MAS was blamed for giving the "wrong direction". The worse headline seen was "Disasters strike again for doomed Malaysia Airlines" for the pilot's enquiry to the control tower whether they are flying to KL or Melbourne. This is not about a recent advise by Dato Salleh Said Keruak to public to not just read news headlines but the content too. 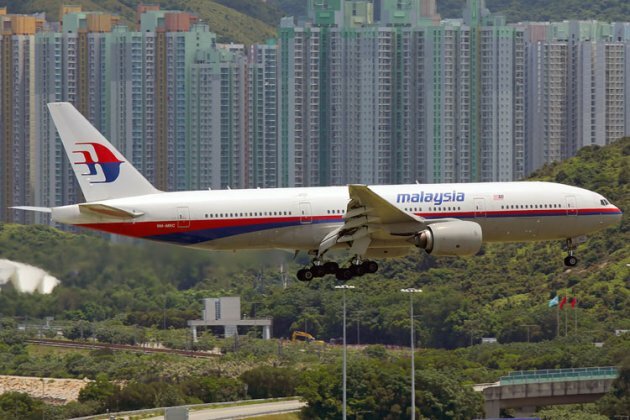 The negative attention MAS is getting is partly due to the two air disasters involving MH 370 and MH17 suffered within a short time. More important, it highlights public concern to safety. And, it emphasise the message in the previous posting here that a well trained pilot is an important component in air safety. The posting using the quote of former American President George W Bush, "You are either with us or against us" got a decent traffic but attracted few negative reactions. One was too vulgar to be released in the commentary. Another was from Life of Annie here. For someone, who follows politics diligently, her reaction was a surprise. W Bush was applying a manipulative political strategy called bandwagon. It is quite typical in politics, even in Malaysia. And, Dato Najib will eventually have to put UMNO members on that crossroad to consolidate himself. Maybe the mention of W Bush was just too revolting. Nevertheless, the original posting title of Take no prisoners, Mr President sounded more brutal. Is politics not military in strategy and at times, has only a human facade? Tun Dr Mahathir is a known practitioner of Sun Tzu's Art of War and Niccolo Machiavelli's Il Principe. The two works is nothing compared to W Bush. It should be OK to Annie because he is a handsome 90 year old and watch Star War recently at the movie theatre. The Malay proverb to describe the predicament of the former Senior Exco of Perak, Dato Hamidah Osman would be "Sudah jatuh ditimpa tangga." Murphy's Law says if something is to go wrong, it will go wrong. More befall on the already fallen Hamidah. Without any position in the Perak State Assembly and Wanita UMNO Malaysia, she was sacked by UMNO Supreme Council in late November. No new development in the sacking that seemed something ain't right. 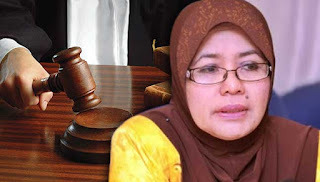 However, a day before Christmas Eve, her home was sealed by Ipoh High Court bailliff. The representative of Mohamed Hanifa & Associates, the firm of Sepang MP, Hanipa Maidin carried the order for their client, Shah Alam MP, Khalid Samad. Transport Minister Dato Seri Liow Tiong Lai told AirAsia to buck up for leaving hundreds of passengers temporarily stranded on November 30 to December 1st. Same happened in early October at Langkawi airport. A week later, AirAsia A320 aircraft had a rear axle tyre burst during landing at Sibu airport last Friday. This is more serious as early in the month, the Indonesian authority released report on the AirAsia Indonesia's QZ8501 crash. 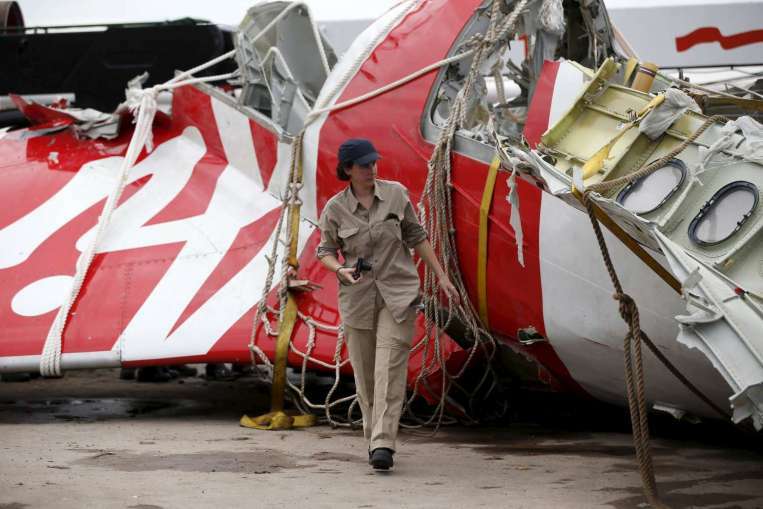 The report highlighted problems related to "maintenance regime of AirAsia" and suspicion of insufficiently trained pilot. The latest incident in Sibu reflect badly on the company. It is as if the company did not heed warning by authorities and learnt any lesson from last year's Christmas tragedy involving the flight from Surabaya to Singapore. If AirAsia could not appreciate the need to minimise risk and pay attention on safety issue, the tragedy off the western coast of Kalimantan that cost 162 lives will eventually find its way into the short and long term financials of the company. 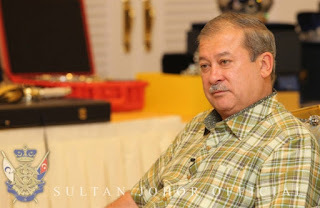 The Patriot, the blog of Johor Assemblyman, Putra Haron Aminurrashid bin Tan Sri Tengku Abdul Hamid Jumat quoted the words of US President, George W Bush in his 2001 speech, "You are either with us or against us" in his latest posting here. It is not intended to support Bush's deceptive justifications to invade Muslim countries, but the approach Bush used to secure full support for his actions was something to be thought off. With 1MDB dying off as an issue and the visible support to Dato Najib at the UMNO General Assembly, the subsequent decisive and strategic action would be to remove any dissenting voices from within the "troops" to prepare for the way forward. As Tengku Putera see, it is time "to eliminate the enemies within and move forward as a big, strong and united coalition under one flag." After last weekend's "No Retreat, No surrender" message at the UMNO General Assembly, it is a natural follow-up. 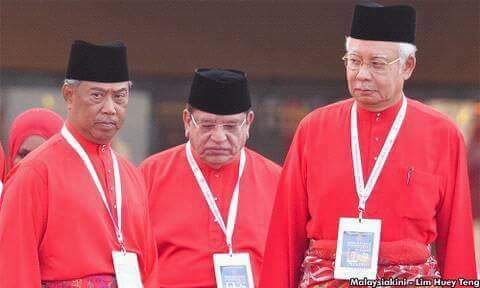 Saya nak bagi tahu bahawa saya Najib Razak, sebagai Presiden UMNO, memilih untuk berjiwa besar. Saya memilih untuk jiwa besar untuk membuka pintu serta dendali hati saya untuk menghulurkan silatulrahim kepada semua supaya kita dapat bersatu dan kembali mengukuhkan ikatan UMNO ini. Namun, dengan tegas, saya mahu menyatakan jika seandainya mana-mana pihak masih lagi tetap menolak dan mahukan pertelagahan ertinya (faham baik-baik, faham baik-baik) kini bukan lagi soal peribadi, mereka bukan menentang saya sebagai Najib Razak Presiden parti, bahkan sebenarnya ternyata mereka telah tolak untuk mencari titik-titik perdamaian dan menolak keputusan syurah parti atau jemaah UMNO kita ini. Shekh Fadzir brothers without Kadir: Indians or Malays? Malay is so embracing that any Muslim that adopts the Malay and Islamic culture and way of life or the minimum of adopting an Arab name is considered Malay. UMNO accepted Punjabi singer, DJ Dave as member. Both the KSN and KSP are Indian coverts though possess Arab sounding names. 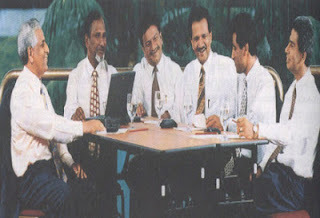 One time inner circle adviser to Dato Najib, Dato Omar Ong once held the position of Treasurer for UMNO Gelang Patah. Back in school, he goes around by a Chinese name. His father reminded him during his wedding dinner to the now divorced first wife to not forget his root. In UMNO and within Malay society, they take a blind eye to accept Muslim converts, including Indians and Mamak as Malay when they are constitutionally not. Yet many position holders in UMNO, government and king makers in Malay politics are Mamak. The Star published an article which highlighted the legal reality that they are not Malay. Since they do not adopt Malay culture and their psyche are not Malay at all, the Orang Asli are more Malay. Thus, Orang Asli should be given more attention than these Mamak and Indian converts. Where will this quarrel lead to? Been watching the political event within UMNO leading to the UMNO General Assembly unfolding than writing about it. From where we are, after listening to as many sources and sides, the concern is: Where will it head to? Tun Dr Mahathir has never lost a political war and he is not likely to admit defeat now. From what RPK described, the game is no child's play and no resources spared to ensure a swift win. Thus far, Dato Najib has survived beyond their targeted deadline. Tan Sri Muhyiddin has stepped up to the plate. It seemed consistent in adhering to the principle of "setiakawan" (comradeship) and refraining to fight his boss till he is disgraced. There is justification for him to do so. He has been sacked from position in government and denied opportunity to express his concern. However, Muhyiddin is still hesitant in his move. The campaign message is still preliminary. Unlike Tun M, whose side is believed by sources willing to destroy UMNO to ensure a Najib disposal, Muhyiddin seemed still considering and reconsidering the impact on the party. Maybe Najib realised this thus yesterday's speech. Among the most glaring message was one to Muhyiddin that "I will fight to the end. No retreat. No surrender." A fight has the long shot of ending Najib but it will ensure the end of UMNO in the next General Election. In the midst of pre-GE slander game, we heard it from the horses mouth itself. Najib side has anticipated the current senario four years ago. They would have kept a close watch and gather all the dirt on Muhyiddin and Tun M.
TMI posted a news report of MAS (or now referred to as MAB) last week on December 3rd. Not to be confused with MAHB for Malaysia Airport. The headlines reads as New Malaysian Airlines records better revenue, performance. Thinking it is an MAB quarterly profit announcement, we click on to read. Have been eagerly wanting to know how well the new MAS under the new Mat Salleh led management is doing. But no profit and loss mentioned. What is the point? Is this another of that highest profit ever recorded media blitz Dato Idris Jala did many years ago but it turned out to be an operating loss for the quarter? Or could it be another Dato Fuad Dahlan charade of going for revenue without consideration for profitability? 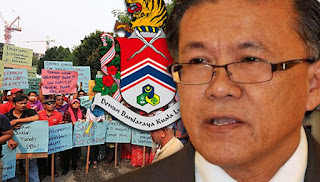 Heard some Pemuda UMNO in FT called us blogger "mengarut" for posting on controversy of high end development with Development Order given by DBKL for an area slotted for 100% affordable housing at Dato Keramat, Kuala Lumpur. When members of a political party with an election slogan "Rakyat didahulukan, Pencapaian diutamakan" make such remarks, it is only a hint of more to be uncovered. Dato Rocky previously asked why FT Minister was silent and have remained silent ever since. Media, believed to be Astro Awani TV reported KL Mayor willing to meet the resident. Suddenly there is a change of mind by KL Mayor. 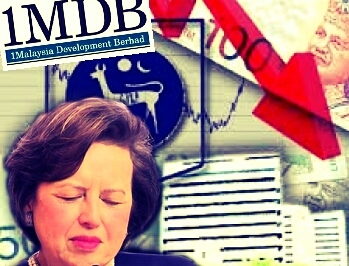 Bank Negara Governor, Tan Sri Zeti Akhtar Aziz has yet repeat herself on the 1MDB investigation yesterday. Zeti was reported saying "progress being made" and "action on 1MDB" on three approvals given under Exchange Control Act for 1MDB to invest abroad. She took the vindictive act to insist on the repatriation of the money despite explanation by Attorney General, Tan Sri Apandi that there is no legal basis to prosecute on those alleged infringements. She was insisted BNM made no mistake and unreasonably insist on the repatriation of money earmarked for the "debt to asset swap". Yesterday's report is telling that she is covering up for her slip shot work in enforcement. If Zeti is so damn serious about investigating and putting things right at MDB, why is she not seriously pursuing the yesterday mentioned disappeared fugitive Casey Tang and Jasmine Loo? Putting up on website is hardly much an effort. Another of her drama on 1MDB?